This is my friend Sharon Lauber showing I.M.K.B.B. Sandstorm. B.B. 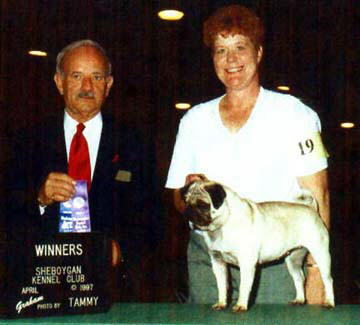 took a 4 point major at this specialty pug show at age 1.